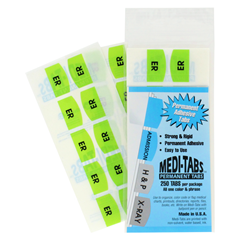 Medical charts and files sometimes need a little more organizing than the standard sets that are available. 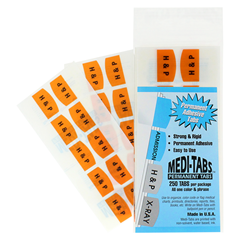 This is where self-stick Medi-Tabs can help. 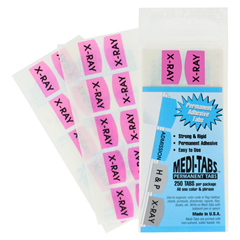 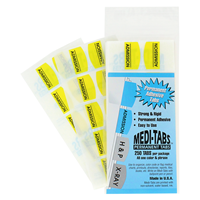 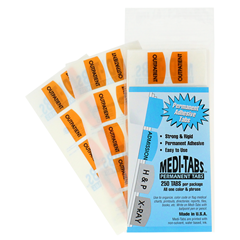 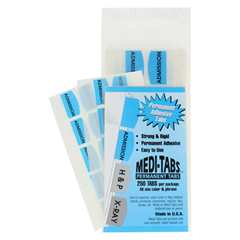 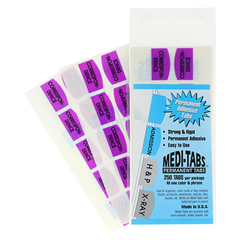 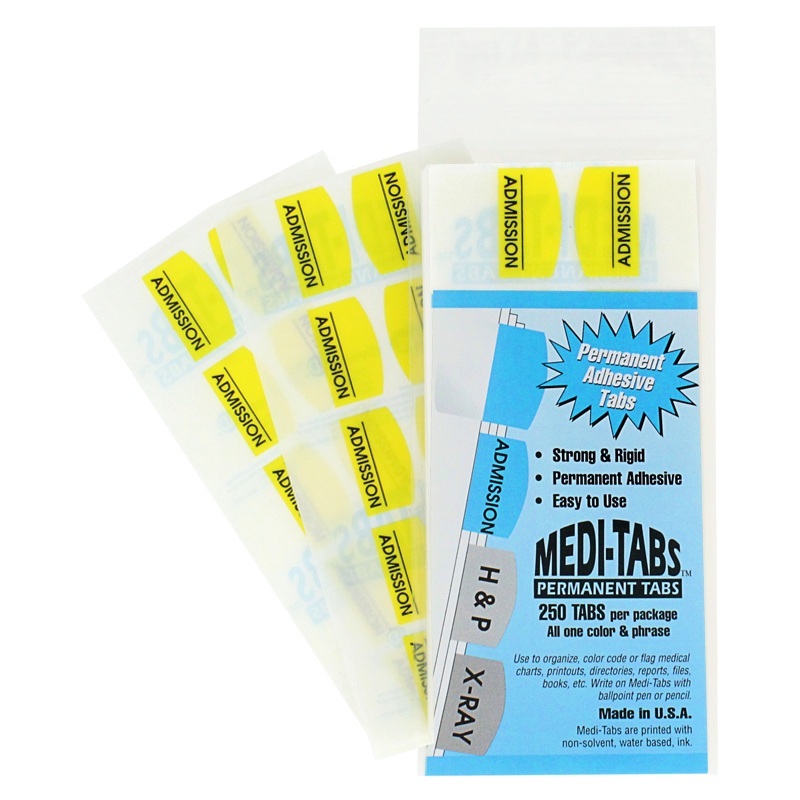 Pre-printed phrases on permanent adhesive tabs can make indexes or sub-indexes within patient charts and records. 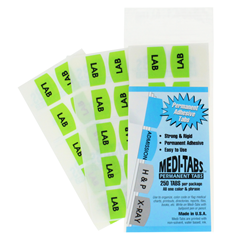 Phrases such as LAB, ADMISSION, ADVANCE DIRECTIVES, etc. 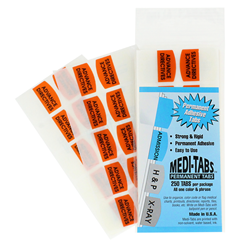 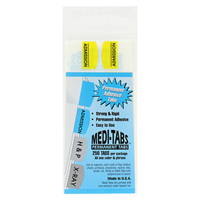 Tab size: 1-1/16" x 1-1/4"